Your bedroom is much more than just your bedroom, it’s an identity a room where you feel safe and relaxed. And what’s the most important item in your bedroom? Your bed of course. We spend a third of our lives sleeping, our beds and mattresses are therefore one of the most important aspects of our lives. At Ellon Indoor Market we stock a wide range of brand new bed frames, divans, headboards and mattresses at great prices. We guarantee to have the perfect products for you and your bedroom. Choose from a range of different materials and sizes that suit you and your bedroom. We can say, with much pride, that our mattresses match the high quality of other popular high street brands at a fraction of the price. Starting from just £60 our mattresses are real value for money and are available to see and test within our market. 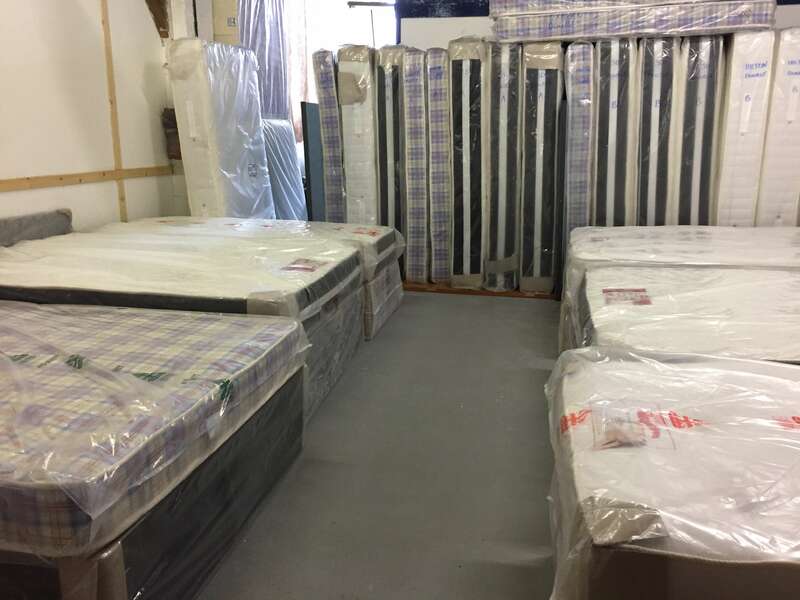 We stock Single, Double and King size mattresses available in Oxford, Memory Foam, Hilton and even custom. See below for more details on our mattresses. Oxford mattresses are open coil and have fewer springs. Don’t let this put you off however, they are just as popular and comfortable as other leading mattresses. We stock a variety of Oxford mattresses within our market ready for you to try before you buy. Our collection of memory foam topped coil spring mattresses respond to your unique movements and body shape. They give you the ultimate support, comfort and pressure relief. Starting at just £160 these deep coil sprung mattresses with a memory foam top layer guarantee a truly tailor-made sleep experience. Our Hilton mattresses are designed to help you sleep, to prevent you from losing those precious hours tossing and turning. There orthopedic technology cater for those who suffer from discomfort, especially in their back and joints. They give you the firm support your back and joints need for a restful night’s sleep. Prices start from just £180 per mattress. Our custom service ensures we find exactly what you are looking for. If you don’t feel the above mattresses suit your sleeping needs simply let us know and we’ll find the perfect mattress for you. Want to know more? Let us know more about your requirements by using our contact form below.